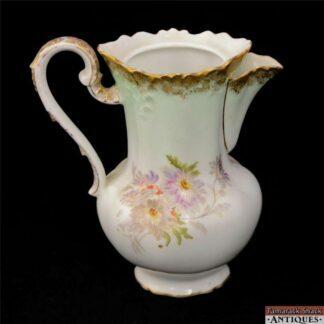 For your consideration is this Old Paris 19th Century Pitcher with Pink and Green Flowers. There is a Griffin Figure on the top of the handle. 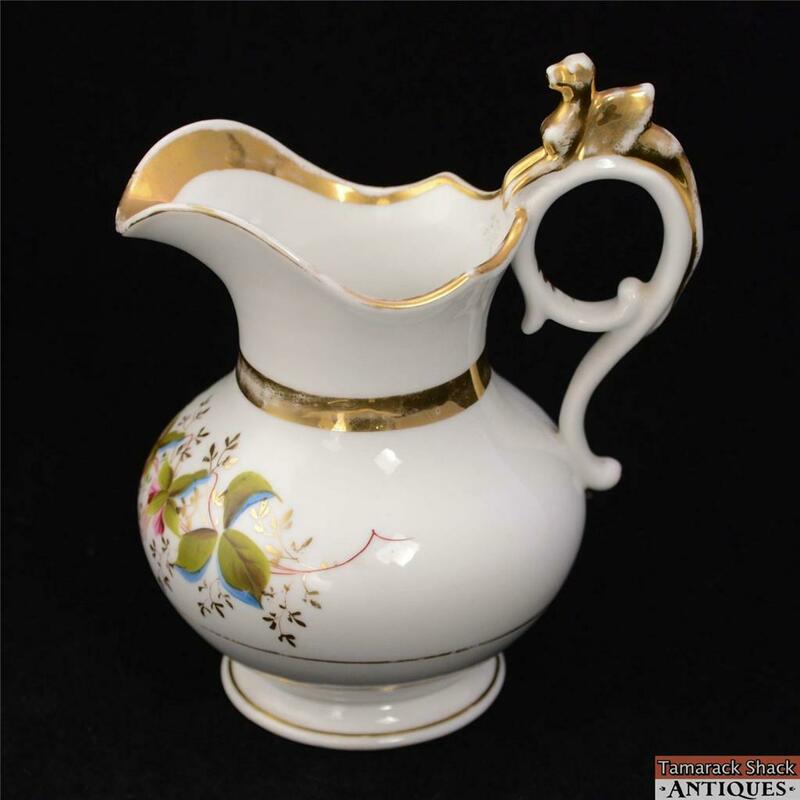 It measures 7 1/2″ tall, 6 1/4″ long from the spout to the handle. It is 5 1/4″ in diameter. This pitcher is in good condition with no cracks or chips. The colors have little loss. The gilding has some loss. There is no mark on the base. This could be a good addition to your collection. Please see the pictures for more detail!